Ever since her debut in the “Crisis on Earth-X” crossover, we’ve all been wondering who the mysterious Caterer Girl is from Barry and Iris’ wedding. We’ve seen her crop up a couple times since then on The Flash—who could possibly forget the infamous coffee incident with Harry and Cisco?—confirming that not only is she a metahuman, but she is a speedster! Considering The Flash typically features a speedster in their season-long villain role, it seemed inevitable that we would meet another one this season. At first, I thought it was Iris (with her completely amazing purple lightning!). I certainly didn’t expect this Mystery Girl to step into the role. I’m happy to admit that I was pleasantly surprised when we did get to see her race off in a flash of lightning, so to speak. If you haven’t yet watched The Flash season four finale, “We Are the Flash,” then I’m going to give you a great big SPOILER WARNING right here. Proceed only if you are current, or at your own risk. 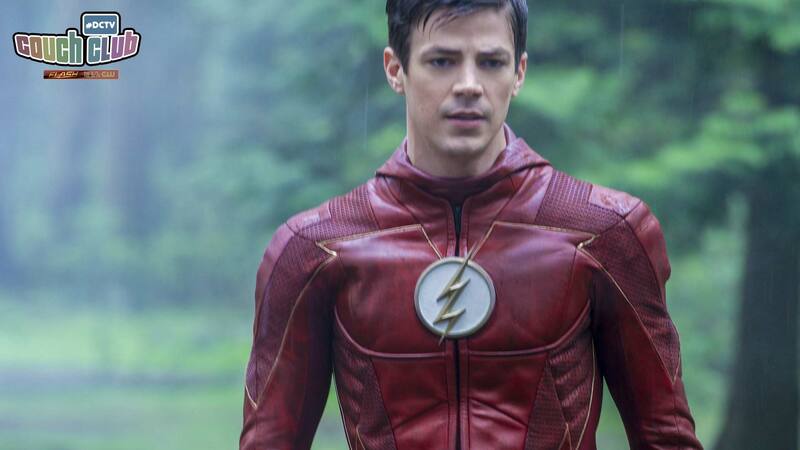 “We Are the Flash” facilitates the death of the Thinker and the tying up of loose ends that we have come to expect in the denouement of a #DCTV show. It also gifted us a return visit from Wally West (cut to me cheering as I watched the final scene of this episode! ), and the revelation of the Mystery Girl’s identity. Like many people, when she was first introduced, I suspected that she might have been Dawn Allen. For those reading along at home who maybe haven’t read that many Flash comic books, Dawn Allen is the daughter of Barry Allen and Iris West-Allen, and along with her twin brother, Don, is half of the heroic speedster duo known as “the Tornado Twins.” Although not a part of the current DC Rebirth continuity, Dawn is where many fans’ brains go when we think of Barry and Iris’ potential children. Well, for all that, Dawn Allen turned out not to be the case. The Mystery Girl is the progeny of Barry and Iris, although she goes by a different name: Nora Allen. Nora is obviously named in tribute to Barry’s late mother, and she appears wearing Iris’ jacket that became her metahuman costume when Iris had her stint as a speedster. Nora claims to have come from the future and remained in present day to the point where the timeline is now in danger. So yes, as if there were any further proof needed that she’s Barry’s daughter, Nora’s taken right after her father’s superhero tactics and is messing up the timeline with the best of them! While Dawn might be the better-known name for Barry and Iris’ daughter, a character named Nora Allen does exist in the comic books. She debuted in 2017’s JUSTICE LEAGUE #26 in a story called “Legacy” that introduces and unpacks the identities and power sets of a new generation of super kids. A number of these characters (introduced by writer Bryan Hitch), are the result of couplings of members of the Justice League, rather than some of the more traditional comic book couples. For example, we meet Hunter, who is the son of Wonder Woman…and also Superman, despite the fact that in the present day Clark Kent is married to Lois Lane and they have an awesome son, Jon Kent. Nora Allen shares a similar lineage. As her last name suggests, she is the daughter of Barry Allen, although her mother is not Iris West. Her mother is Barry’s fellow member of the Justice League, Green Lantern Jessica Cruz. Nora Allen’s superheroic alter ego is “Cruise.” In the beginning, her maternal parentage was a little bit of a mystery, although this name definitely pointed to Jessica. Nora also has siblings in the “Legacy” story arc. Jason and Jenny Allen are twin superheroes with the same parentage as Nora who are also members of this future Justice League team. Their powers vary from Nora’s and have more to do with manipulation of the emotional spectrum, but for more on them you’ll have to read the comics! …Unless we think they’ll be introduced next season? In “We Are the Flash,” our television version of Nora says that Iris is her mother and I think for the sake of the show that is the right call to make. I look forward to the reveal of exactly who her alter ego is—will she still be called Cruise? When Jesse Quick is superheroing on either Earth-2 or Earth-3, she goes by “the Flash,” so there’s a chance that in the future “the Flash” is exactly how the rest of the world know Nora. After all, as the title of this episode tells us: We Are the Flash. “We Are the Flash” has introduced a very cool element in the final minutes of The Flash’s fourth season. I don’t know about you, but I can’t wait for the fall and more episodes to come! See you then, Couch Clubbers!